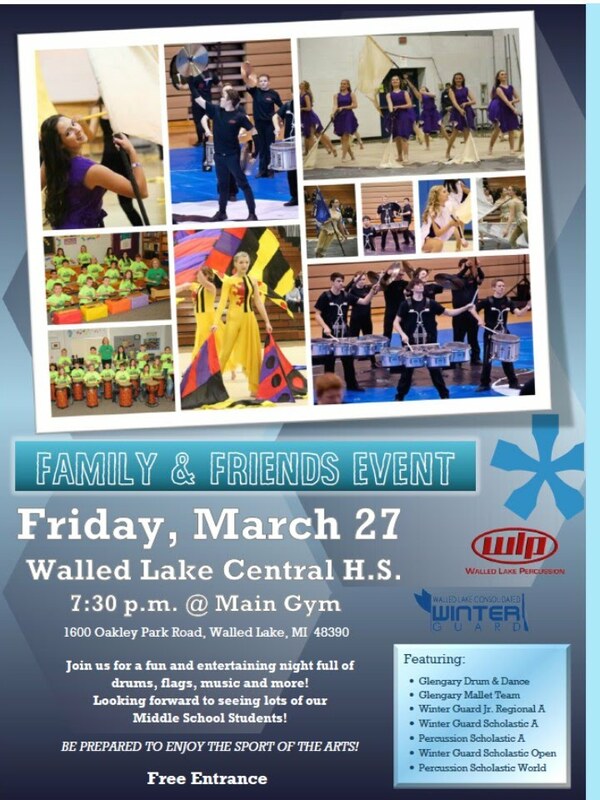 The WL Winter Guard will be performing on Friday, March 27th at Walled Lake Central High School and you are invited! Performance begins at 7:30 p.m in the Main Gym. Admission is FREE! See the flyer for more details.